An important feature of Reiki is the symbols. The symbols are used to access the Reiki energy both in performing healings and the attunement process. 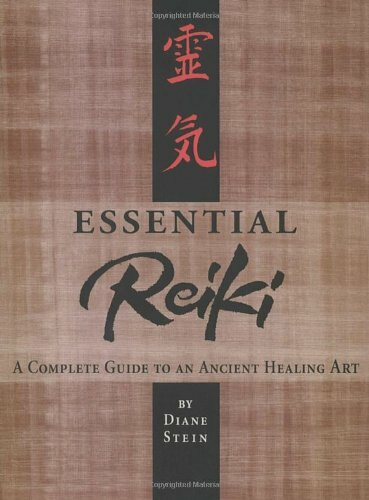 Reiki is not unique in using symbols to represent the Reiki energy states. 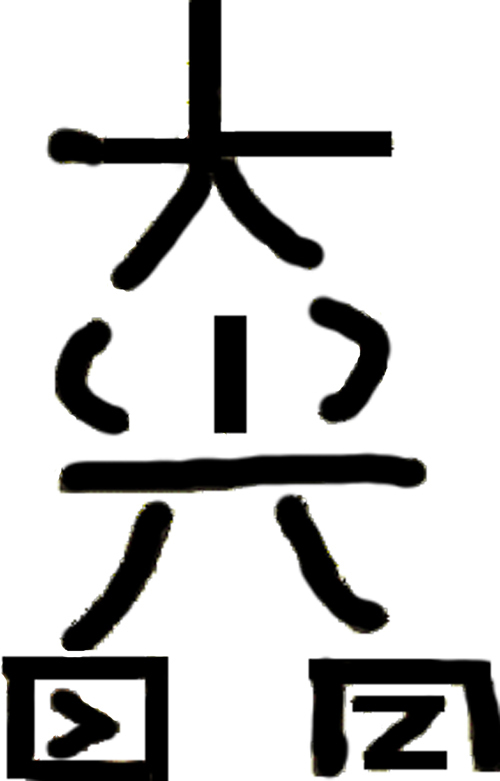 Some other systems also have the practitioners draw symbols for certain purposes. According to the new research into Reiki&apos;s true history, the Reiki symbols were derived from practices in certain branches of Buddhism. The Reiki symbols act as a kind of bridge, connecting the practitioner to certain energy vibrational states. These states are tuned to specific uses. There are three symbols in Level II Reiki and another in Level III or Master. There is some variation in how the symbols are drawn. Some believe this is due to how Mrs. Takata taught her students, in that she did not write the symbols on paper. Instead she drew them in mid-air with some students interpreting her hand motions one way and others interpreting another. In any case, the ones shown here are one of the variants, and are close to the ones I was taught. Body Cho-Ku-Rei Increase Power "Put the power here" or "God is here"
Mind Sei-He-Ki Emotional, purification, protection, clearing "Key to the universe" or "Man and God becoming one"
Spirit Hon-Sha-Ze-Sho-Nen Distant healing, Akashic Records, past-present-future "The Buddha in me reaches out to the Buddha in you to promote enlightenment and peace"
Master Dai-Ko-Myo Passing attunements Reiki mastership; "man-woman-universe = whole energy"
The system, then, contains a "trinity" similar to what appears in all spiritual systems. The Body/Mind/Spirit trinity which can be read many ways (Ego/Subconscious/Superconscious, Self/Family/All, Father/Son/Holy-Ghost, etc). Note, I&apos;m putting this body/mind/spirit interpretation onto the three symbols, and haven&apos;t seen that distinction made by other teachers. 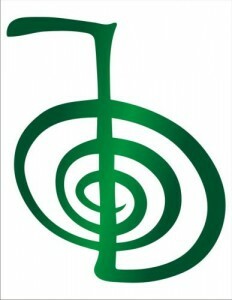 The fourth symbol, Dai-Ko-Myo, is used to attune someone to the Reiki energy. The attunement process is similar to the Tibetan Buddhist empowerment practices, and is a ceremony by which one is attuned to and may access Reiki. In healings the practitioner, of Level II or above, paints the symbols in the air with his/her hands. Sometimes the practitioner might draw the symbols on paper, with the intent that the symbol is for a specific person or purpose. Generally, the symbols are drawn near the person who is to receive healing. As discussed below, some Reiki teachers claim to have developed, or been given by spiritual guides, additional symbols. ... an experience (such as opening the heart), which is translated into a very abridged and simplified depiction in an abstract form. In other words, each symbol references a state of being (a.k.a. "experience"), and drawing the symbol or speaking its mantra invokes that state of being. Put another way, that state of being is an energy vibrational state. Learning the symbols is more than just learning how to draw the lines and speaking the words. It&apos;s learning how to connect to the energy vibrational state represented by the symbol, and to invoke its presence. That&apos;s much more than just drawing lines on paper. Similarly, prayer is much more than speaking words, it is an act of invoking the divine by speaking the words of the prayer. The attunement ceremony is the way Reiki Masters teach their students the connection between the symbol and its essential symbolic meaning. In theory, without receiving a Reiki attunement, the symbol is just a picture, but once one is attuned and draws the symbol while intending to connect with its energy vibrational state, they can access that energy. Dr. Usui discovered the connection between the symbols and their energy vibrational forms through intense study. Therefore it&apos;s likely anyone else could do the same if they devoted enough time to that study. According to The Big Book of Reiki Symbols, Reiki comes from a lost form of Esoteric Buddhism. In that body of spiritual practice there are precise rituals to perform, and recitation of initiation mantras that are often repeated over 100,000 times. The timing of performing the rituals is often timed for positive astrological influences. And that when Usui went on his 21 day meditation retreat on Mt. Kurama, he chose a sacred place on the mountain, and a time of favorable astrological influences in his birth chart. Those influences gave him the spiritual boost to go on a mystical spiritual journey to the divine source of Reiki. 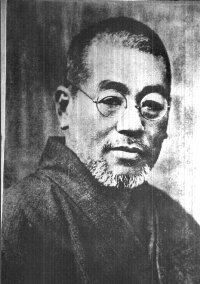 According to the available evidence, Usui only taught the handful of symbols referenced above, and only taught three levels of practitionership. Today there are many forms of Reiki, with many additional symbols being taught. Additionally the spiritual traditions from which Reiki came have many additional symbols. The question is whether Reiki should limit itself to the system taught by Usui, or whether it should be extended? Clearly many Reiki Masters are going beyond the system taught by Usui. Who can say whether that&apos;s a good idea or not? I&apos;ll ask this - In my spiritual work, guidance has given me a couple symbols to use. Clearly other peoples&apos; guidance have also taught them some symbols. The symbols I&apos;ve received seem to be for my personal use, and not to be taught to others. How many of the symbols received by other Reiki Masters were meant to be taught to other people? How many of those other symbols were meant solely for the use of the given Reiki practitioner? In how many cases did a teacher receive a symbol, that was meant for their own use, but decide to go ahead and teach that symbol to others? In how many cases did a teacher receive a symbol meant to be taught to others, but did not do so for whatever reason? How do we tell which action (teaching the additional symbol or not) is correct? 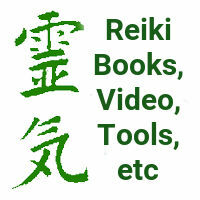 What if there is a guardian entity or entities implementing the safeguards of Reiki? That is, Reiki is claimed to be "safe" and maybe there are entities somewhere in the ethers whose purpose is to safeguard Reiki practices. Those entities may have designated specific symbols, mantras and energy vibrational forms as being part of the Reiki system. 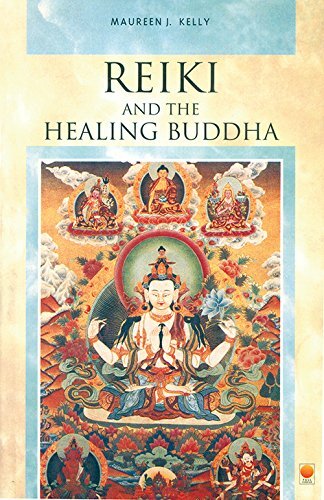 I&apos;ve experienced contact with some entities seemingly from Tibet who, thousands of years ago, foresaw the future need for Reiki and developed the energy forms we&apos;re accessing. In The Big Book of Reiki Symbols, the authors name a guardian diety of Reiki, Dainichi Nyorai and suggest that any addition to Reiki requires the permission of that diety. Since each Reiki symbol (or other symbols) access specific energy vibrational forms, it&apos;s best to use the correct symbol for the given task at hand. Reiki provides three symbols for physical, mental/emotional and spiritual issues. Mrs. Takata taught us that the Reiki symbols were to be kept secret and only shown to those attuned for Reiki Level II and higher. She claimed that the symbols were kept secret by the practitioners in Japan, and that Usui hadn&apos;t written anything down. 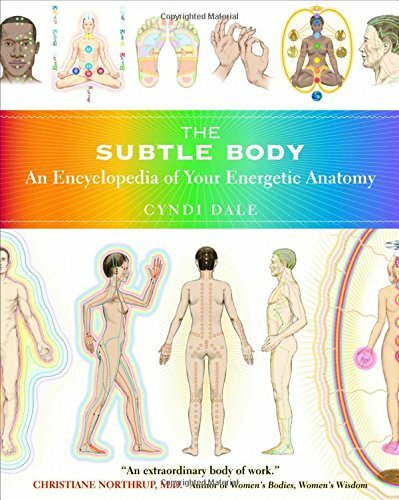 The books published in the last few years giving us a clearer history of Reiki demonstrate that Usui actually published a handbook. Additionally it&apos;s been discovered that the temple at Mt. Kurama has all the symbols (and more) drawn on the walls for all to see. Therefore it&apos;s fair to ask "why the secrecy?" The only remaining reason I can think of is to prevent misuse (people claiming to know Reiki when in fact they haven&apos;t been trained in Reiki). The history of Reiki outside Japan is rife with stories of misuse - people claiming to know/teach Reiki when they do not, and worse. What&apos;s important is the connection between the symbol and accessing the correct energy vibrational form. For Reiki to perform the role it was designed to fulfill, those who claim to be Reiki practitioners must actually be in contact with the correct energy forms. That means correct training of all Reiki practitioners. Without the flow of energy, the symbols themselves are just pictures, yes? What makes Reiki interesting is the source of energy from which Reiki springs, and the high degree of intelligence, wisdom and divinity behind that energy source. When teaching Reiki a few times I conducted an experiment with the students. The Chi energy is not unique to Reiki, in fact Chi is in everything and around everything. Think Yoda here, in Star Wars, lecturing young Skywalker on the Force; that lecture was not far from the truth. There are many systems of Energy Healing, of which Reiki is only one, and it is quite easy for people to access and channel Chi without knowing Reiki. 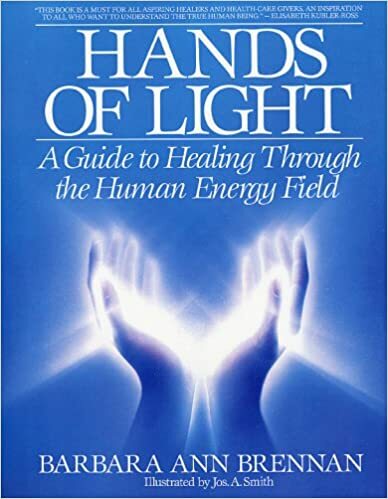 The experiment was to, before received any Reiki attunement, to lead them through a simple method of accessing Chi from the earth (earth energy). Then after their first attunement to have them compare the energy which they had accessed just a few moments before to what they accessed via Reiki. Every one of them easily accessed, and each of them had dramatically stronger and different energy come, just a few minutes later, after their first Reiki attunement. Because anyone can access sources of Chi, they could read about Reiki and the Reiki Symbols and then develop a false belief they&apos;ve become entrained for Reiki. This is analogous to someone calling themselves a Tarot Reader simply because they&apos;ve memorized a book of Tarot card meanings. Just as reading tarot is much more than memorizing a set of predetermined meanings (namely, being intuitive about what the cards mean in this reading), there is more to using Reiki than drawing symbols (namely accessing the energy). What distinguishes Reiki from other energy healing systems? It is that the Reiki symbols are claimed to access specific energy vibrational states that trained Reiki practitioners can use in healing themselves or others. That puts a high value on ensuring Reiki practitioners are authentically using the authentic Reiki symbols to access the authentic energy vibrational states of Reiki. 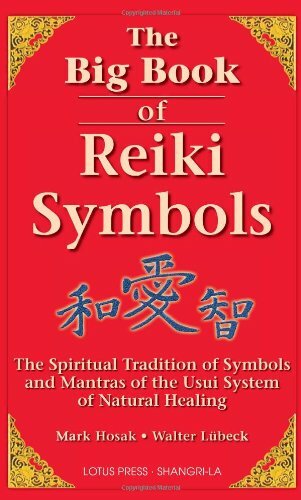 The Big Book of Reiki Symbols: The Spiritual Transition of Symbols and Mantras of the Usui System of Natural Healing: This is essentially a big encyclopedia of Reiki knowledge written by two leading authors in the field: Mark Hosak and Walter Lubeck. They describe the history of the spirituality behind the symbols, helping to position Reiki within the context of the traditions from whence it came.